Your roof is the only thing standing between you and the elements. For this, it is essential to take proactive measures in keeping your roofing system in top shape. Unfortunately, severe weather conditions can cause massive damage to your roofing, requiring urgent and professional attention. Count on Rogers Roofing to provide you with reliable Munster roofing services that will address such issues. 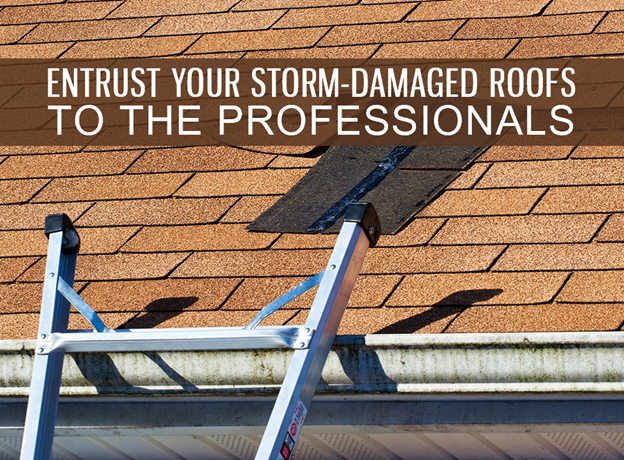 Let us show why you should entrust your storm-damaged roof to us. We carry license and insurance that let us provide our roofing services in the region. This also means that you will not be liable should there be an accident in your property while our roofers work in the area. We take pride in being certified by industry-leading manufacturers like CertainTeed®. Part of being certified is a commitment to on-going training in learning the latest roof technology and installation methods. You can expect us to implement safety practices to ensure no damage is done to your home or valuables. You can also expect us to provide you with a thorough inspection, precise assessment, and storm damage repairs quickly and efficiently. Aside from these, our partnership with CertainTeed lets us provide you with Dyer roofing that can withstand strong winds and harsh climate conditions. They are also available in a wide range of profiles and colors to complement your home’s exterior features. Storm damage is an unexpected and unwelcomed cost. For this, we offer financing options that will help you shoulder these expenses. You can ask one of our representatives to provide you the details of our current financing offers. We are humbled by the favorable feedback we receive from our previous clients. At Rogers Roofing, we make every project a priority. You can check the positive reviews on our page as proof of our quality of service. Rely on Rogers Roofing to provide you with reliable storm damage repairs and high-quality roofing in Tinley Park, IL. Call us today at (219) 228-8210 (Indiana) or (492-2270 (Illinois) for a FREE estimate.